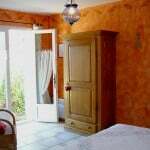 Double room of 21 m², typically of Provence, with a king-size bed 160 x 200 and a private terrace. It has a separate entrance on the ground floor and overlooks a private terrace, perfect for reading and relaxing. Each room is a quiet and intimate space. 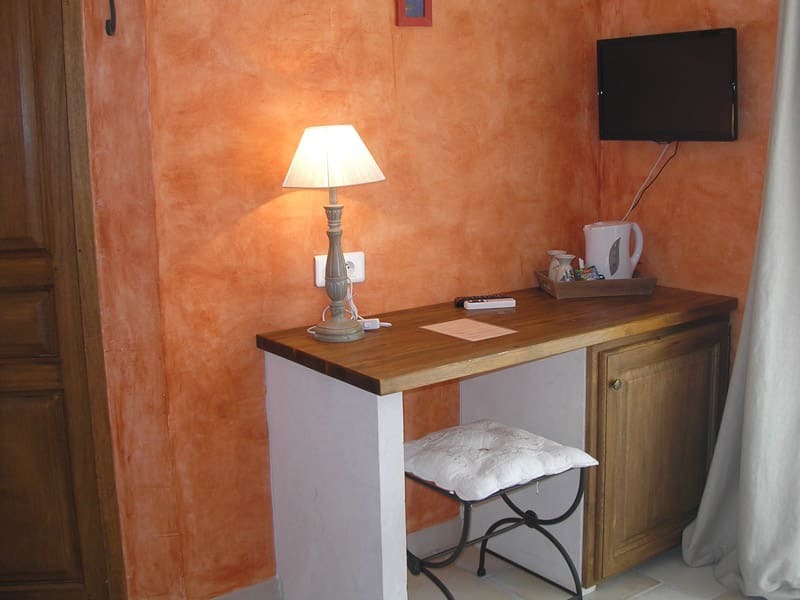 Spacius and functional charming guest room that features a high-end bedding to ensure a pleasent sleep, covered with cosy duvets and provençal boutis as well as four pillows. 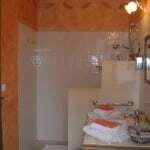 Confortable and fully equiped: bathroom with shower, sink, toilets, haidryer, soap dispenser, cosmetic mirror, mini fridge, welcome tray with kettle, flat screen TV, desk, individual heating and ventilator-air refreshing with remote control. 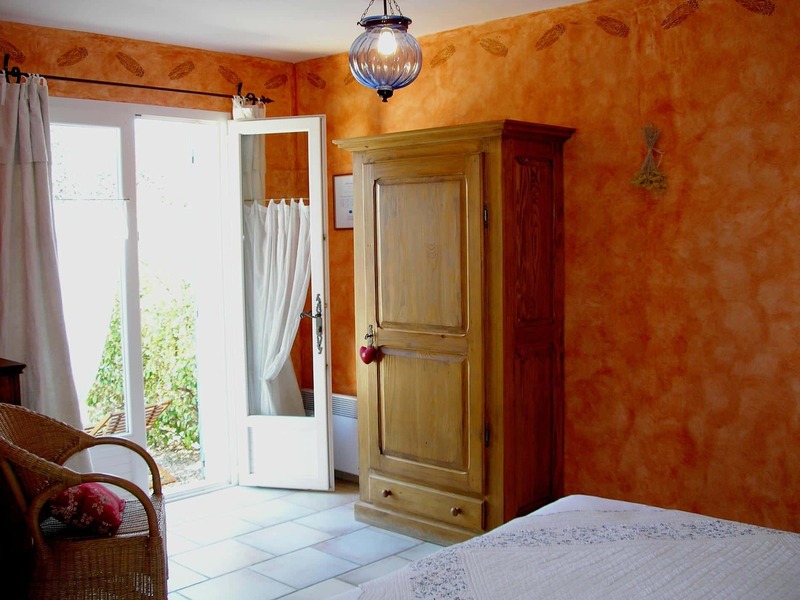 Both cosy and intimate, it comes with elegance with differents materials: stone, wood, walls decorated with patina handmade with natural beeswax and ochres of Roussillon. The furnitures were hunted for antiques markets. 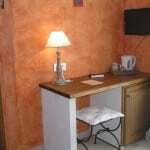 Free and quality Internet access by WIFI is available in each room and the garden. 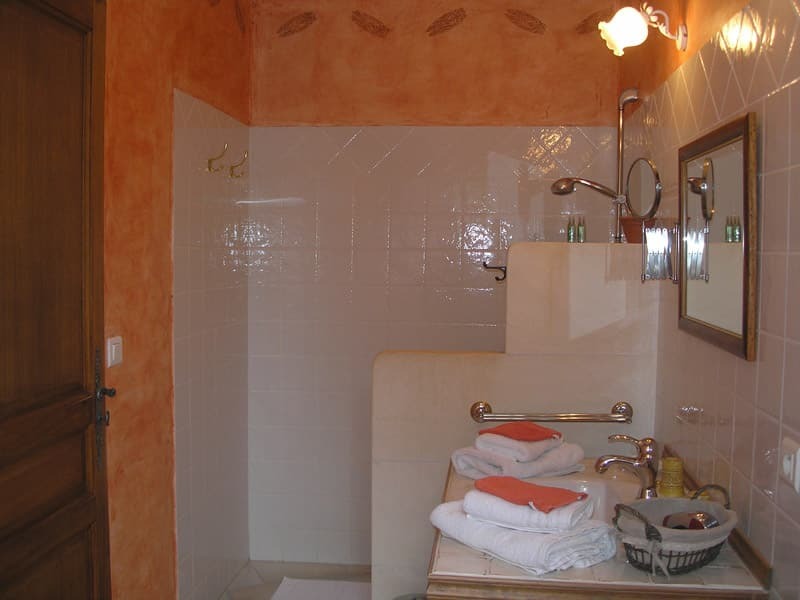 Book directly on our official website, at the best price! 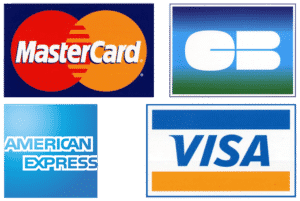 Check availability!